Let me start this review by declaring that I am not a superficial person. I think anyone that is serious about music or audio production would agree that the quality of the sound is what matters most. 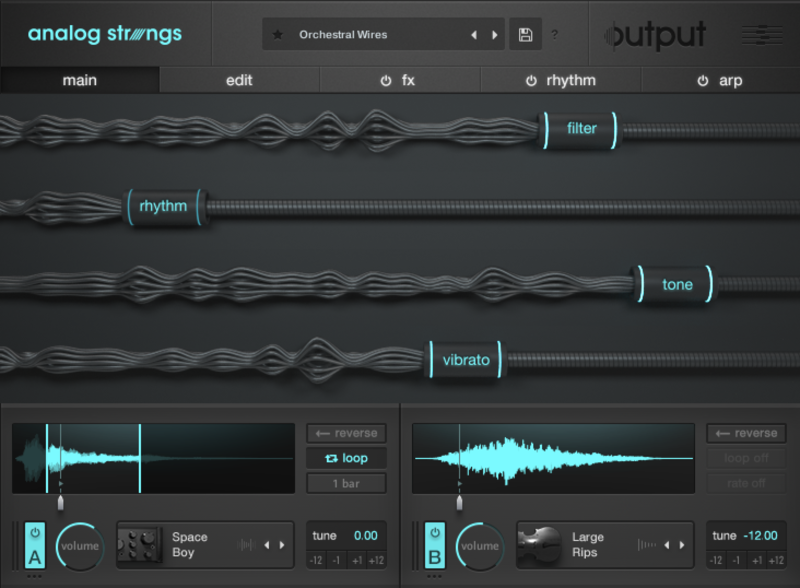 That said, I have to admit that the front-end of Analog Strings, the Kontakt-based instrument from Output, is nothing less than stunning. The Main page is particularly visually delicious as 3D controls glide over multi-string-like graphics while altering user-defined macro controls for the instrument. 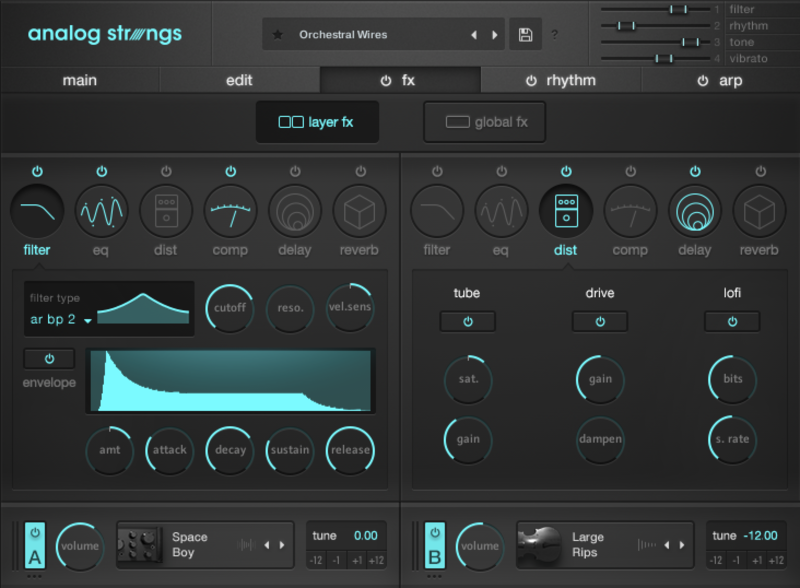 Having been subjected to clunky and downright ugly GUIs over the years, an instrument like Analog Strings is a refreshing departure. After launching the instrument for the first time, I was sincerely hoping the richness of the sound would rival the beauty of the interface. It did not disappoint. 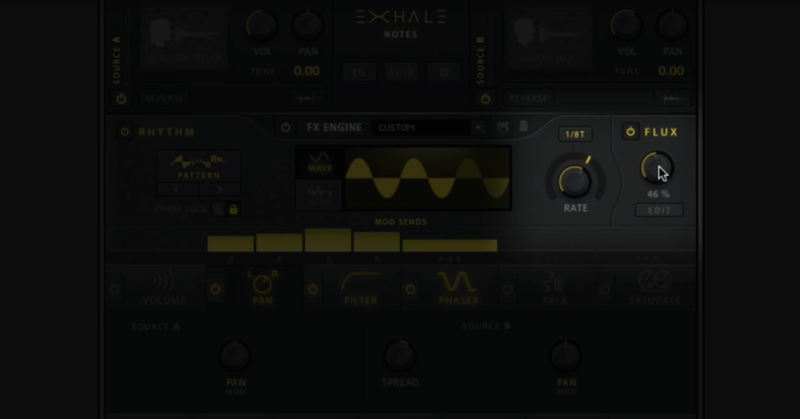 As described by Output in their walkthrough video, the instrument uses two sound sources based on samples of “big and small string orchestras, soloists, weird instruments and every vintage synth and effect we could get our hands on.” Samples are mangled, blended and modulated to produce a multitude of unique textures that will satisfy and surprise even the most experienced sound designer. The instrument is laid out using five tabs across the top. The Main tab (shown at the top) displays the aforementioned macro controls. 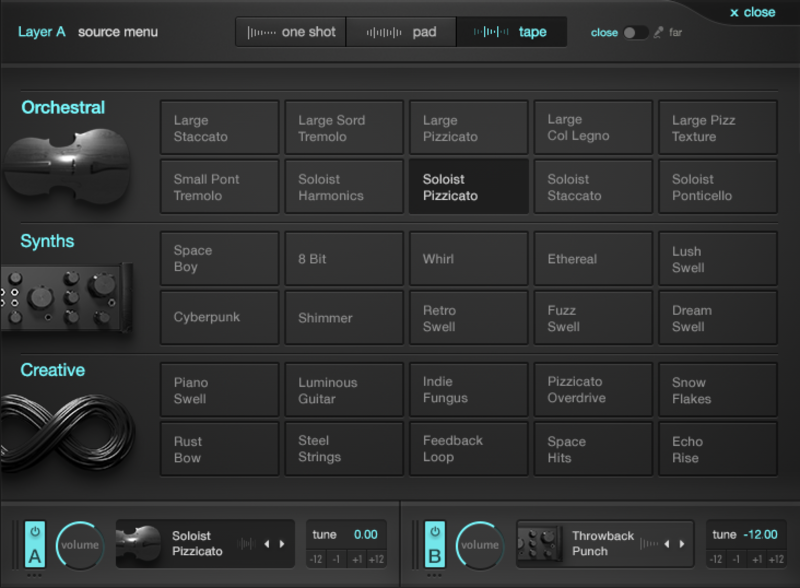 Clicking on the drop menus on the upper left allow the user to select which parameters will be affected by the four macro sliders including things like, pulse, reverb, dirt, glide, tone, etc. 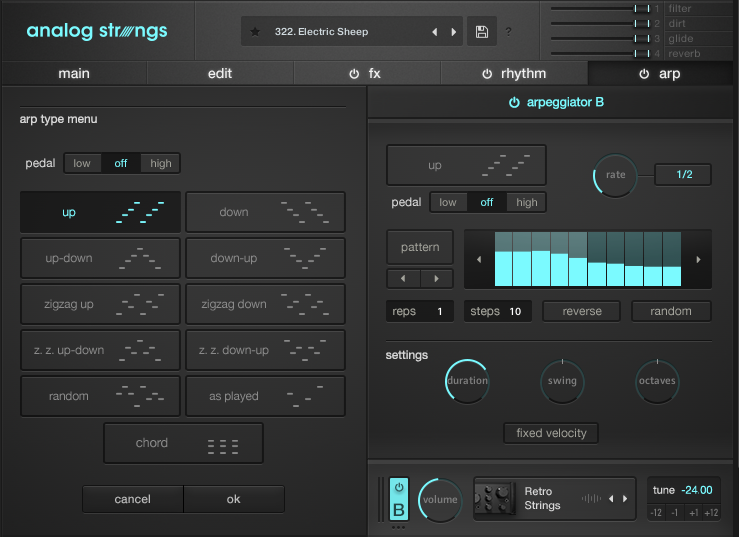 These controls are great for exploring presets and altering sounds in a performative way. 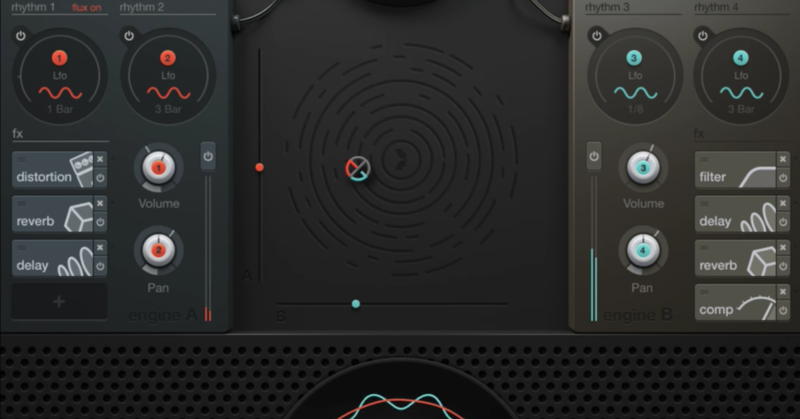 At the bottom of the main display, waveforms of the two active sound sources are shown and controls include looping parameters, sync settings, tuning, level and source. Clicking on one of the two source selectors reveals a matrix of possible sources organized into three main groups: One Shots, Pads and Tape Loops. 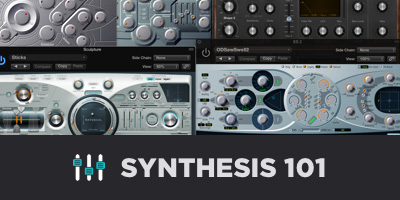 From each group you can choose from three possible sub-categories: Orchestral, Synths and Creative. 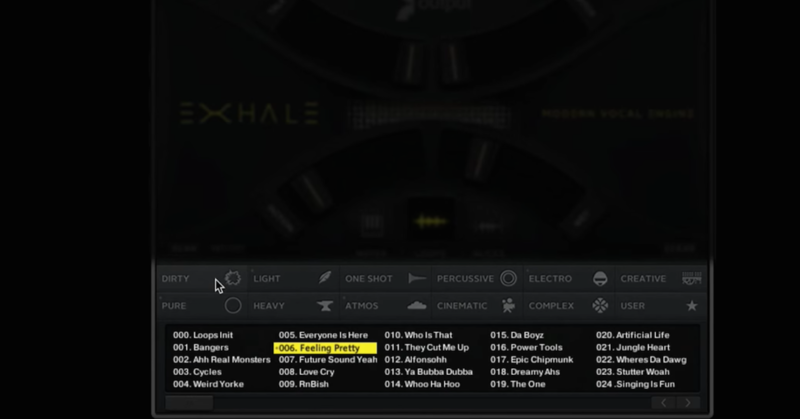 The Edit Tab reveals amplitude and pitch envelopes, a dedicated LFO control for pitch they call Flutter and Stereo Image settings. Key range mapping, glide and velocity sensitivity controls can be accessed via the advanced settings icon. The FX tab allows control over a chain of six effects per layer or seven global effects that affect both layers. The Rhythm Tab is where a lot of the temporal complexity this instrument is capable of originates. 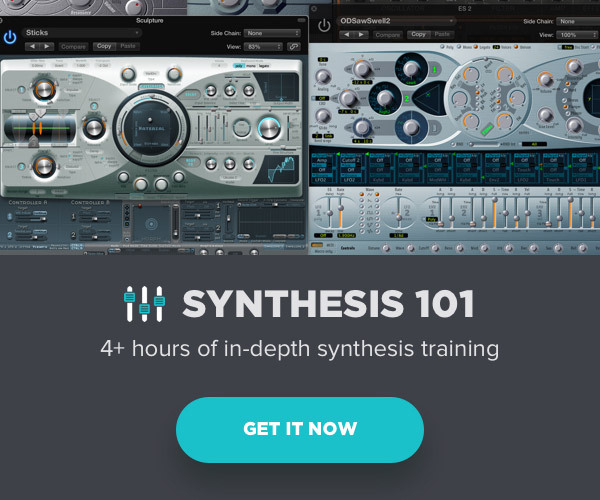 Here you can choose between two independent rhythmic modulation sources (LFO or Step Sequencer) for each layer, which can affect layer volume, layer pan, filter cutoff, filter resonance, tube saturation, distortion drive amount, lo-fi distortion bits and lo-fi distortion sample rate. The Flux setting control exposes another step sequencer that can change the modulation rate of all Flux-enabled modulation rhythms. A sort of sequencer within a sequencer. The Arp tab exposes two independent arpeggiators with a fairly sophisticated set of controls and presets including zigzag and pedal tone settings. 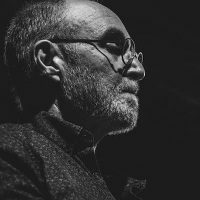 When used in combination with the two sources and the modulation of parameters mentioned earlier, the rhythmic and textural possibilities are infinite. 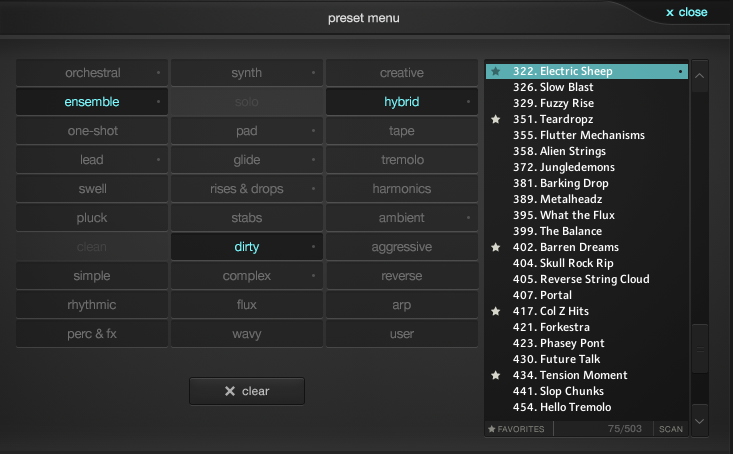 Clicking the preset menu opens an attribute matrix that helps the user narrow down the substantial list of 500 factory settings and navigate to the desired sound or point of departure. After choosing a preset, the macro controls become a convenient and expeditious way to audition the effect of altering some of the key parameters of that particular sound. You can mark your favorite settings and create your own as modifications of existing presets or start from scratch. 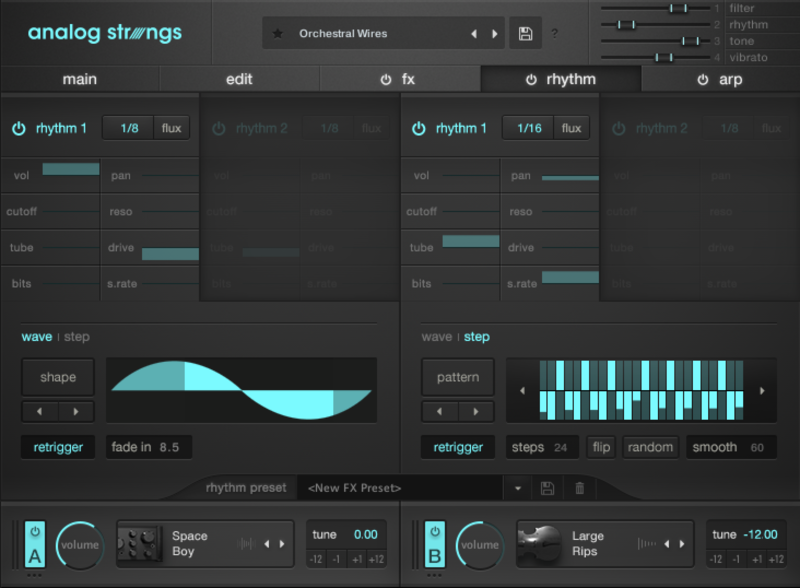 If you’re looking for another string library based on traditional articulations and orchestral textures, look elsewhere. 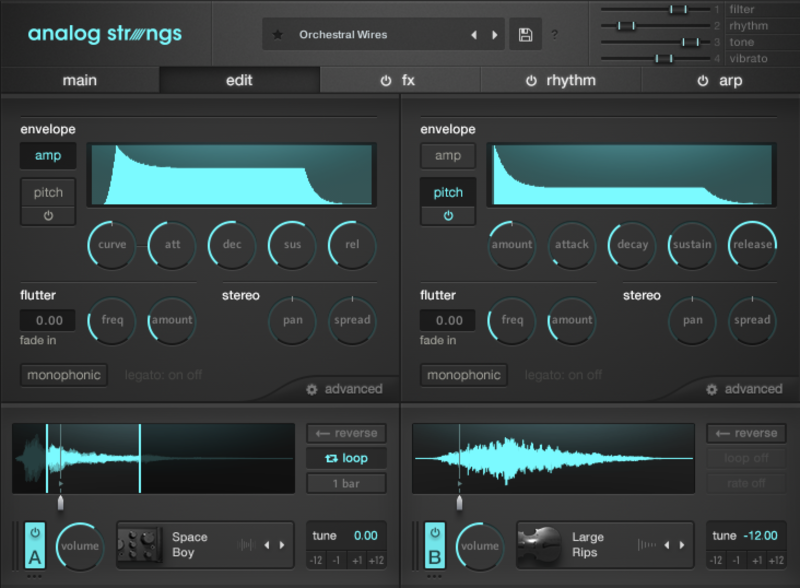 But if you want a truly novel approach to orchestral string manipulation that will expand your sonic palette both texturally and rhythmically, I highly recommend Analog Strings. It’s worth checking out the performance video made by the Output crew. 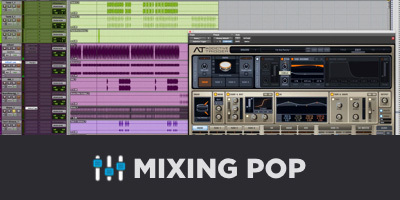 Output stands behind their software with a 14-day guarantee on all products, bundles and expansion packs. You can explore other offerings by Output on their products page.